Tuesdays Salsa On2 6wk/6hrs series starts May, 7th, 14th, 21st, 28th, June, 4th, 11th. 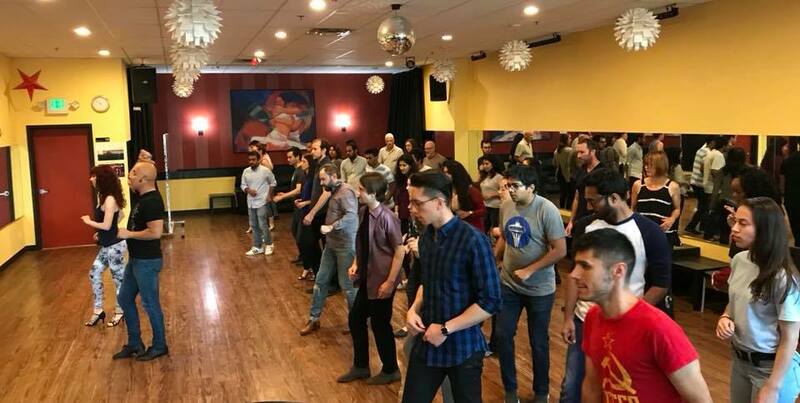 Wed. Bachata series ........................................................................................... 5-6weeks series started Wed. May, 15th, 22nd. 29th, June, 5th, 12th, 19th. ??? Questions when Registering ??? To void 3.5% Paypal fees or 3% credit card surcharges at our studio, cash or check are also the day of. If you are registering on the day of the class, please call regarding openings and we ask that you come in 5 mins early to register. 6 weeks series group classes, with out a 24 hours notice of cancellation, there will be a $10 processing fee. Canceling after teken 1-2 classes or missed first or second class of the 6 weeks series, there are no refunds ot credit for Groupon. If you register in person or Paypal at our reguler price, you can however credit you a percentage, but you are reqire pay a balance of $40 to start a new series. *All credit expires after 90 days from the date the student originally signed up. WORKSHOPS: With out a 24 hour notice, there are NO refunds on prepaid missed workshops. 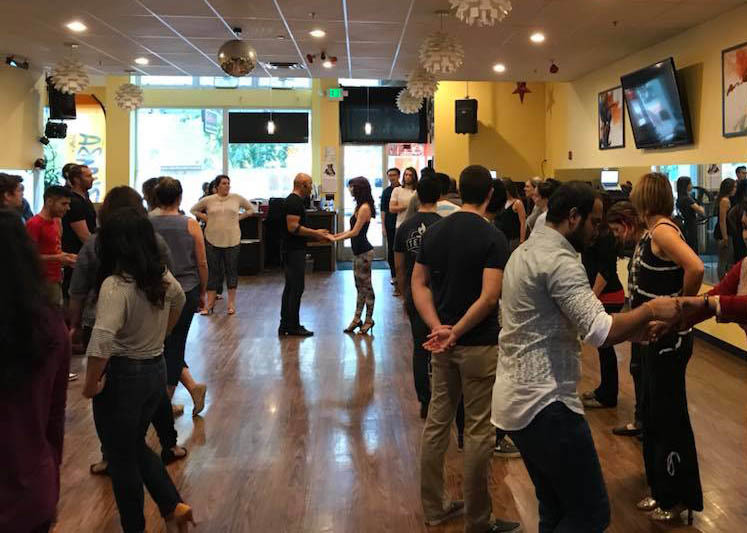 If you have to miss one of our (Salsa) 6 week classes, please call to set up a private lesson at a additional cost is also an option. One instructor 1 student $65 hr or couples $75 hr $32/$37 -1/2 hr, Two instructor $75 hr $37 hr. all prvt lesson must be prepaid. *12 hr notice is require to cancel or to reschedule to void losing 50% of your prepaid amount to cover our floor fee and our instructors travel time. All Cancellation of event on location or at our studio less then 2 weeks from event date, only 50% is refundable from Belltown Dance Studio. What does 1-2 1-3 & 2-3 means? 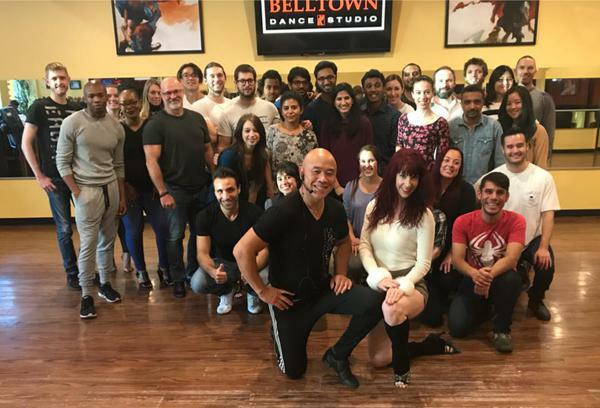 If you are a brand new student to salsa, you would be in Beginner level 1 or 1-2, you may ask to take 2 series of this level, 1-2 some student maybe only 1 series to move up, only $35 at 2nd series of level 1-2. (This discount only apply to this level). *Bachata lessons (1-3), this only mean this dance progress fairly fast, there for your next level will be Intermediate level. 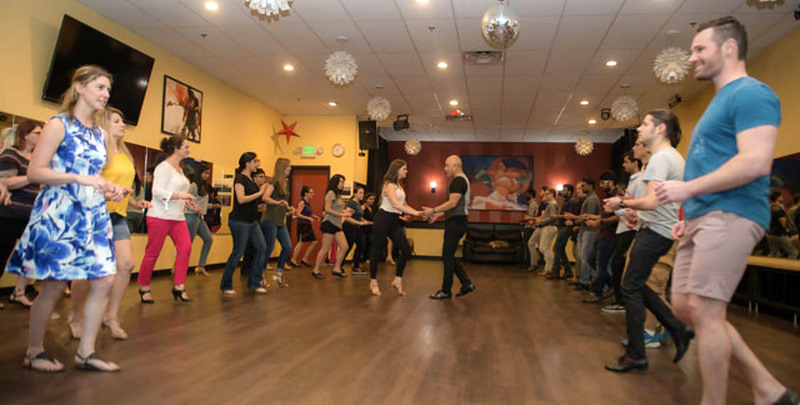 Students who have taken salsa lessons else where and very comfortable with "Cross Body Lead", you should be in our salsa level "2-3." If you are not sure please set an appointment with Jim for evaluation. Shoes: Be sure to wear dance shoes or shoes that don't have too much traction on their soles, as this will allow you to spin more easily. Ladies, heel and ankle support is a plus. From our local dance shoes stores, 10% discount off is offer to all of our students that are taken classes with us. Please be sure your street shoes are non marking sole and NO exposed nails that can damage the dance floor. Hourly rental fee must be paid with in no later then 24 hrs in advance (only upon availability). 50% refundable if cancel less then 12 hrs notice on day of.